Older children or children who have been to the theme park several times, may no longer experience the magical thrill they once did. However, with a little insider knowledge and some charm you and you children can discover a whole other world behind the Disneyland façade. Your children will be excited about telling their friends about the secrets they uncovered on their vacation. Share these secrets with your children before visiting the Happiest Place on Earth so they know what to look for during the trip. 1) The Mad Tea Party Ride in Fantasyland – Let your kids determine the speed of their ride on The Mad Tea Party. Although most people don’t know it, the 18 tea cups that make up this ride do not spin at the same speed. Older children looking for a thrill can jump on the purple or orange tea cups for a faster ride. You can let smaller children opt for one of the two tea cups painted with hearts for a less intense thrill. 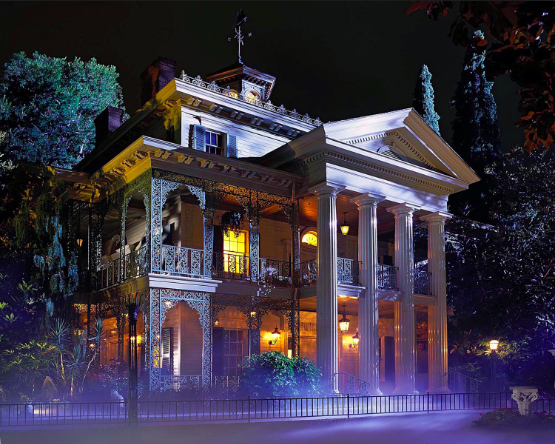 2) The Haunted Mansion – Find a Disney cast member when you visit the Haunted Mansion before getting in line. Tell your kids to ask for a fake death certificate and after the ride they can pick up a one of a kind souvenir with their name on it that other kids don’t have. They can also get a special tour of the Pet Cemetery behind the Haunted Mansion if they know to ask the cast member for information about it. 3) Tour Walt Disney’s Apartment (above the Firehouse) and the Dream Suite (above Pirates of the Caribbean ride) – Although not kept secret, few people know that there is a guided tour of the park and Walt Disney’s apartment and planned apartment, the Dream Suit, at Disneyland. This tour lets you learn about Walt Disney’s history and the process of creating the only theme park in the Disney family that he saw completed. Visit areas of the park that are normally off limits to Guests such as Walt Disney’s family apartment and the larger apartment he planned, which he named the Royal Suit (now called the Dream Suit). 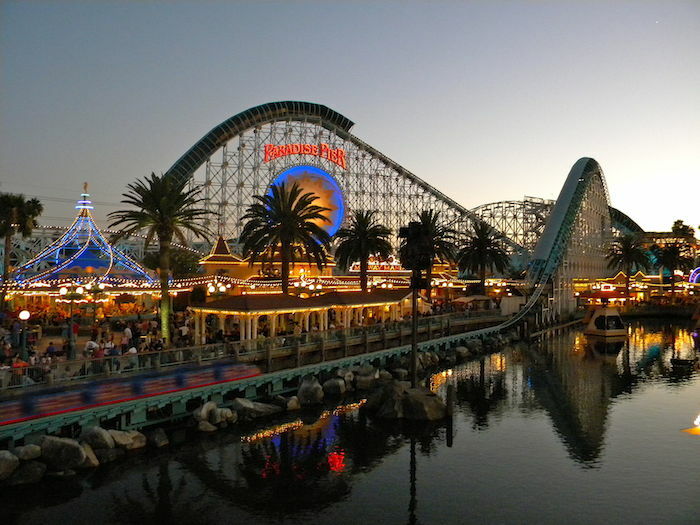 Sit on the bench where Walt Disney originally came up with the idea for Disneyland and jump the line to ride the classic rides he first conceived. Finish the tour with a gourmet lunch or dinner provided by Jolly Holiday Bakery. Take home a unique Walt Disney pin that opens like a book. 4) Snow White’s Scary Adventure – While waiting in line for this ride, search for the brass apple. When you find it, give it a good rub and you’ll hear a clap of thunder and the witch will cackle madly. Keep a lookout for the evil witch who appears every so often in the window above the ride. 5) The Indiana Jones Ride – There are several secret features of the Indiana Jones Ride that your kids will not want to miss. Before entering the line, ask for a decoder. This will help your children decode the special messages written in Mara on the walls throughout the line. If you or your children are the type that tend to do the opposite of what you are told, keep a lookout for the well. You will notice a sign that reads, “Caution. Do Not Pull Rope! Handling Fragile Artifacts.” Go ahead and pull it. You will hear a voice telling you not to pull the rope. Keep pulling it to hear different messages. There is also a bamboo pole with a sign that says, “Danger! Do Not Touch Pole.” If you pull it, you’ll hear a loud crash and the ceiling will drop several feet as if ready to cave in. 6) Manhole Covers in Mickey’s Toon Town – Visit the fountain in Mickey’s Toon Town and take note of the special manhole covers around the fountain. Each has a different instrument that matches those on the fountain. Jump on the different covers to hear the sound of the instrument pictured. 7) Listen for Special Sounds throughout the Park – Walk down Main Street on the right and turn down the alley where the Ice Cream Stand is located. Outside the Dentist Office you can hear the sound of a dentist drilling and a patient screaming. At the piano teacher’s window you can hear the sounds of a lesson, metronome and a slap after what sounds like a mistake made by a pupil. At the detective’s window listen for the dog barking and a man on the phone. Look for the window with the shower head on it and when you find it listen for the sound of a shower starting and a man yelling about the cold water. If you enjoyed these secret tips, stay tuned for future articles on tips and secrets for making your family’s Disneyland vacation sensational.